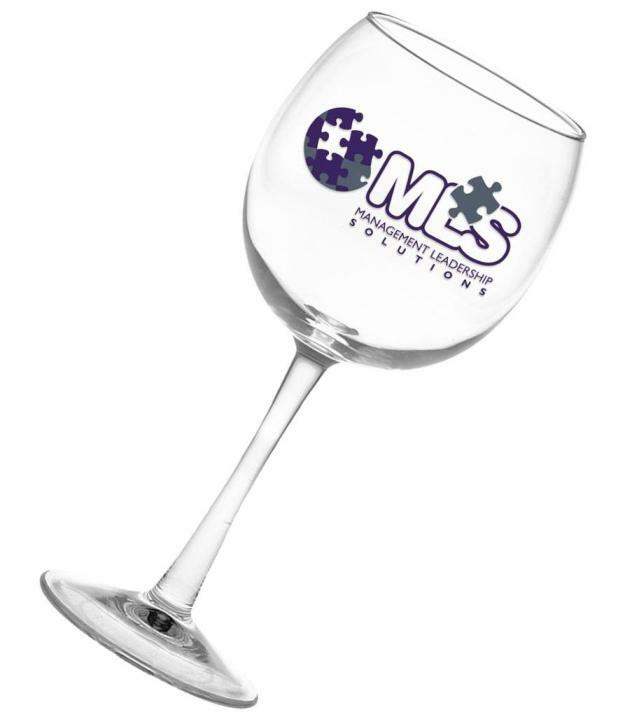 Whether for wine tasting promotions or advertising this is your Red Wine Glass. Applications include wineries, upscale wine sales, marketing, weddings, party. Glass features include clear Cachet Red Wine Glass design, sleek stem. Glassware has a 16 oz. capacity. Size 8 high x 3 top dia x 3 dia base. You MUST order this glassware in whole cartons of 48 units. SafePack Cartons required add $7.00 per 48 unit carton. Price includes one color imprint on two sides area 3" w x 1" high.